Venus Williams moved into a potential US Open third round duel with sister Serena on Wednesday after the 38-year-old American downed Italy's Camila Giorgi 6-4, 7-5. The 2000 and 2001 champion in New York will face Serena for a place in the last 16 if the six-time winner gets past Germany's Carina Witthoeft under the Arthur Ashe Stadium lights later in the day. "The last time we played in Australia it was two against one so this time it will be fair," joked Venus of her most recent meeting with her sister at the 2017 Australian Open, when Serena won the title despite being in the early stages of pregnancy. 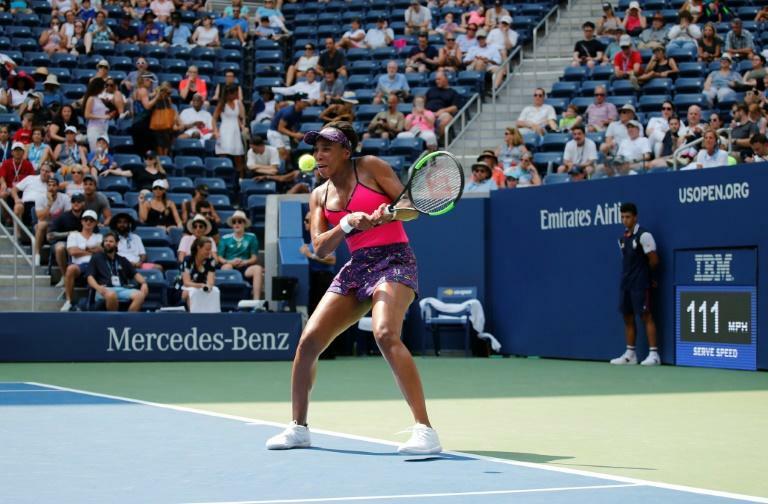 On Wednesday, Venus notched up her 775th career win, braving the sweltering 35-degree heat to make the third round in New York for the 17th time. "I was happy to complete the match in the shade. I'm pretty pumped to get through."